Come Enjoy fun fall activities with us! Take a stroll with your kids and set out on a mission to collect curiously shaped leaves for an autumn collage. You pick up acorns and small twigs too if you want. If you have smaller kids, do not let them go off on their own. You want to make sure that they do not get their hands on anything sharp or dangerous. When you get back home with your stashes of leaves in an assortment of golden colors, you can start putting together your collage. You can use ordinary bond paper or you can use a poster board. Have some paint, glue, scissors, pencils, and coloring materials on-hand. You can basically make any design or image you want by gluing the leaves you gathered on your choice of paper. You and your kids can work together in one project or you can each have your own artwork. You can also make several collages so you can have your own private exhibit at the end of the day (or week if you want more artworks to display). Make use of the apples and pumpkins that are abundant in the autumn season. You will have to cut shapes out of pumpkin and apples for your kids to use in their stamp art. Start by cutting a good sized pumpkin and a couple of apples into slices that are about 2 inches thick. You can use cookie cutters are your guide by tracing the shapes on the pumpkin and apple slices. Carve out the “flesh” outside of your traced lines to leave a raised area that will serve as the stamp. When your stamps are done, put different colors of paint in small paper plates, lay out sheets of paper, and your art table is all set. You and your kids can let your creative juices run and stamp away. Since spices are often associated with the season, among the great fun fall activities for kids is to make sweet treats using spices. Apples and pumpkin are also ingredients that go well with spices like cloves, cinnamon, ginger, and nutmeg. Recipes for treats like Gingerbread Cookies, Apple Crumble, and Pumpkin Pie are available in child-friendly versions that will be easy for you and your kids to follow. 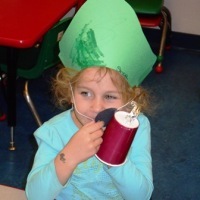 Young Scholars Academy in Colorado Springs provides quality child care no matter the season. But we are especially excited about fall and the new school year. Young Scholars Child Care in Colorado springs offers child care programs for infants to school age children. We also have some exciting childcare enrichment programs! Come check out our programs and contact us today!